Unleash the BEAST! 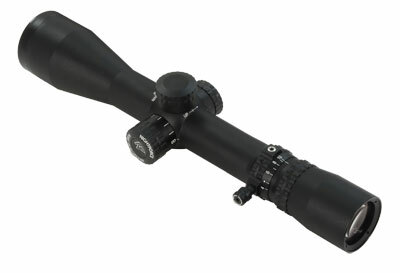 Nightforce BEAST stands for Best Example of Advanced Scope Technology. If you are looking for a scope for multi-target shooting then BEAST is what you need! This product has been manufactured by the best engineers in the industry. The result is that Nightforce BEAST scope is best of the best when it comes to long range multi-target shooting. Nightforce BEAST is known for its unbelievable precision and adjustable digital illumination. This Nightforce scope has been manufactured to meet the needs of the modern military usage. As a result the lenses used are the finest that you will find. Even with over 90% light transmission, the Nightforce BEAST scopes stand out with its clarity and unique resolution. The ED glass used in it has been made as a collaboration of German and US engineering. This time Nightforce has given a shorter body to the elegant BEAST scopes.